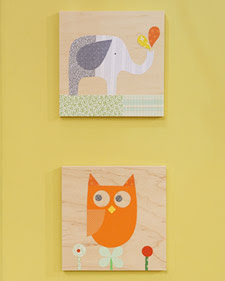 I thought this would be cute in a kids room. Technically you wouldn't have to use the elephant or the owl. You could use any design you wanted.